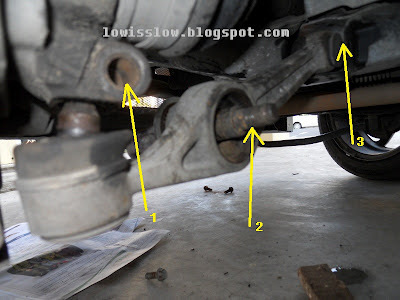 As usual, to get into suspensions part, tire must be removed. Make sure you put something to support the jack just in case something bad happen. Seven screws need to remove in order to take out the lower arm. Three screw in this picture below, No.1 and No.2 use wrench no.17, while No.3 use wrench no.14. 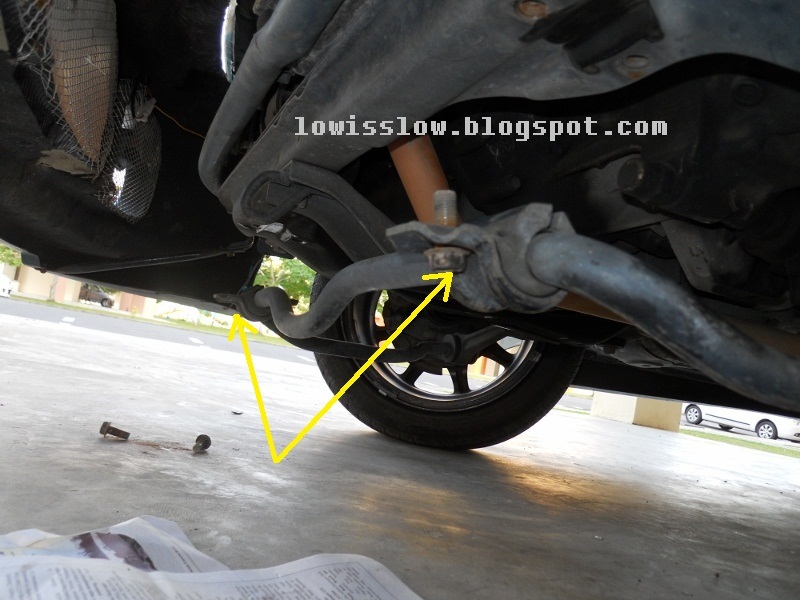 Remove the stabilizer bar from the lower arm , you can start knock the lower arm downward to take it out from wheel hub. It should be easy..
Then install a new lower arm by applying soft knock upward to get it in the wheel hub. Watch out the slope before you can insert the bolt (No.1 on the first picture) and tighten it followed by bolt no.3 (on the first picture) . 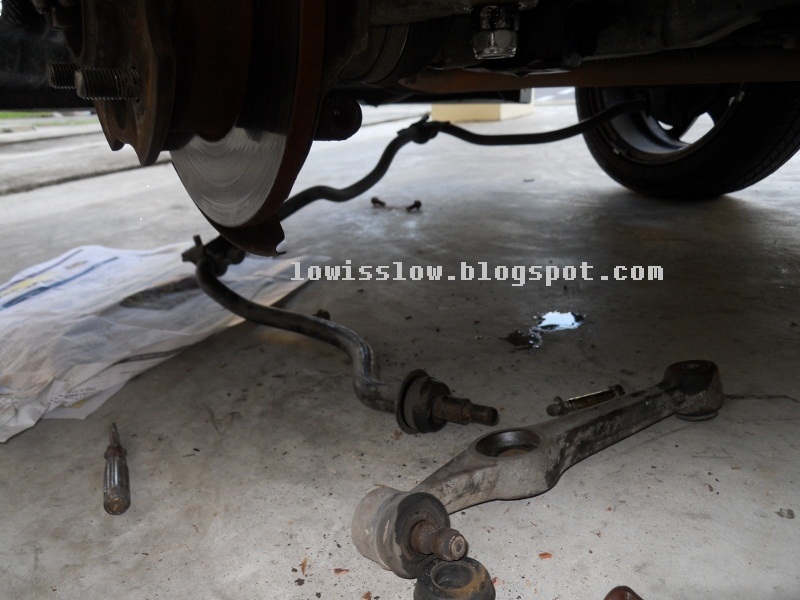 Then put back the stabilizer bar into its hole at the lower arm, don't forget the rubber bush. Tighten it all. 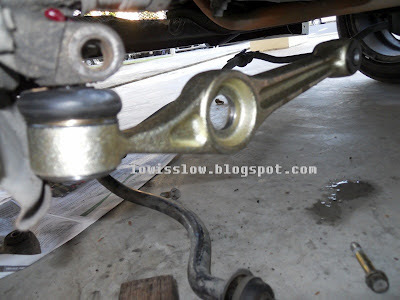 Then screw back the screw that lock the stabilizer bar at the front. To make your work easy, put something under the stabilizer bar, and slowly lower the jack until the stabilizer bar sit on its position before you can screw the bolt back. Now, raise up the jack back and put back the tire. Make sure all the bolt and nuts well tighten.. Drive to the nearest wheel allignment shop for wheel allignment. That all..
A good piece of information. I would like to do the same. Great info for those wanted DIY. Nice concise write up. I've done this on a Perodua Nippa, it was a better drive afterwards.